This roasted butternut squash is delicious, flavorful, and so incredibly easy! It makes a perfect side dish for any meal. The fragrant aroma of pot roast cooking on the stove-top and creamy potatoes being mashed bring me back to Sunday dinners at my grandparents’ house. While my grandmother was preparing dinner, my grandfather would play Lynn Anderson’s “I Never Promised You a Rose Garden” and we would dance in the living room. I can’t help but smile as I think back on these wonderful childhood memories. I’m trying to bring back Sunday dinners. With my family’s busy schedules, it so important for us to take time and have more than just a quick meal together. I want us to take time to relax, appreciate the meal, and linger at the table to enjoy each other’s company. Now, as much I love to cook, I want to spend my time with my family and not just in the kitchen. This is where this amazing roasted butternut squash comes in, which, by the way, pairs perfectly with The Pioneer Woman’s Perfect Pot Roast. 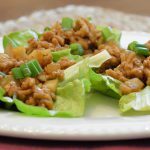 It is delicious, flavorful, and so incredibly easy. Begin by preheating your oven to 375 degrees. You will need one butternut squash, peeled and cut into pieces. I purchase mine peeled and pre-cut to save time. Add salt and pepper to taste. I just give the salt and pepper mills a few turns. Then add 1 teaspoon of minced garlic and 1 teaspoon of dried parsley flakes. Seal your bag and shake it up. Prepare your baking sheet with foil for easy clean-up and place the squash onto the prepared baking sheet. Set pan in oven for 25-30 minutes. Check for tenderness during roasting, then serve immediately. Now enjoy your meal, while creating your own family memories! You might want to even play a little Lynn Anderson and have a dance or two. 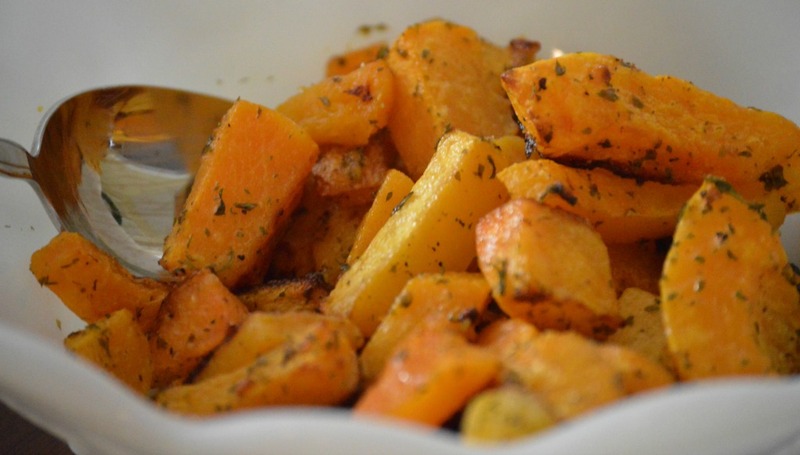 This delicious side dish is flavorful and so easy to make! Place butternut squash, olive oil, salt, pepper, garlic, and parsley in bag. Seal and shake ingredients to coat. Put squash on prepared baking sheet. Roast for 25-30 minutes, checking for tenderness. That looks so yummy and easy to make. I love butternut squash and will definitely try it. Thank you so much, Rebecca! I hope you give this recipe a try. Happy Thanksgiving! I am a very big fan of roasted butternut squash. At this time of year, it is so easy to get here in upstate New York. Nutritious, and no points on Weight Watchers. Thank you for your kind comment, Alana! Yes, it is delicious and so nutritious. Happy Thanksgiving! I’m a butternut squash fan. I usually just steam it and eat it plain. 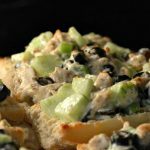 I like this recipe because it adds flavor with simple ingredients! I pinned this recipe. I look forward to trying this recipe! I appreciate your kind comment, Natalie! I hope you enjoy this recipe. Wishing you a wonderful weekend! Yum! This looks fantastic! Gotta bookmark this and try it one night. Love trying new and delicious recipes! Looks amazing! I love trying out new recipes. This looks delicious and easy, love how it’s ties to such great memories. Thanks so much, Courtney! I hope you give it a try! Wishing you a Happy New Year! Looks delicious! Happy holidays to you and your family! Thanks so much, Lauren! Happy Holidays to you as well! 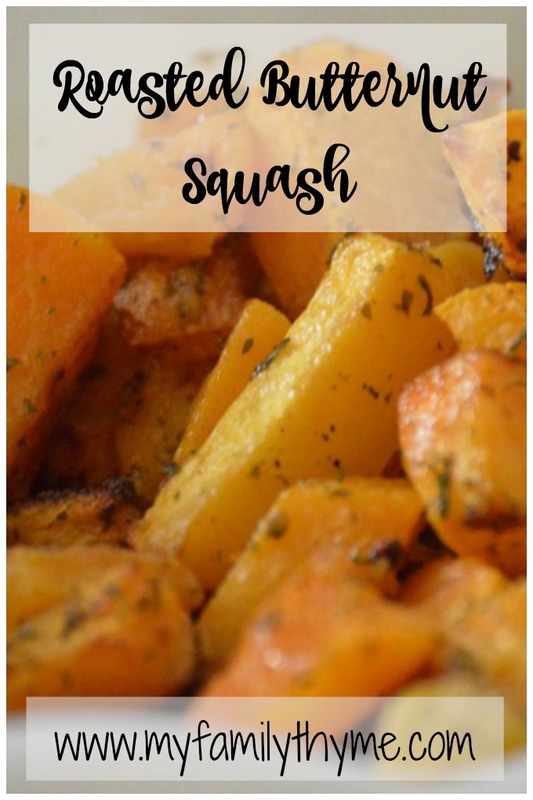 I love butternut squash and this recipe looks and sounds amazing!! Def a must try. Thanks for sharing! This looks delicious! I am going to have to give this recipe a try! Thanks for sharing. Love this! 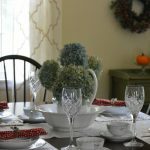 I want to start eating dinner at our table at least once a week!! I absolutely love Roasted Butternut Squash! Looks like an awesome and easy recipe. Butternut squash is the absolute best during the fall and winter. I can’t wait to make this recipe, it sounds amazing!